We visited The Frog & Wickett in Eversley for Sunday lunch because we wanted to meet our friend Mik for his birthday. The Sunday roasts were around £10 each, and we could have as much potatoes, yorkshire puddings and gravy as we liked… this sounded like a great deal, and perfect for us! The food portion was huge, I have no idea how someone could ask for more roast potatoes! The service was great, always cheerful and happy to help. 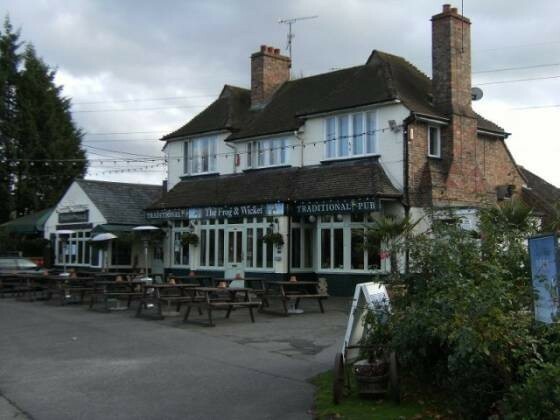 There was a happy atmosphere, with general good natured local pub characters. If you are looking for a decent Sunday lunch then The Frog & Wickett in Eversley are worth a visit. Being the sister pub of The Paradise by Way of Kensal Green we decided to review the Sunday roast at The Old Queens Head after receiving an email offer through Keynoir. Excellent decor, with a quirky feel such as a deer’s head mounted on the wall and chandeliers. The roast beef and lamb were excellent, but there was disappointment with the roast chicken. The apple crumble was excellent. 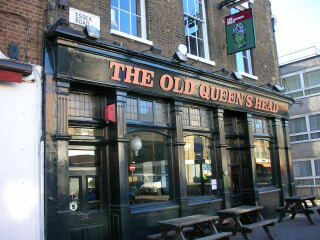 So, for a Sunday lunch in Islington with friends, we would recommend giving The Old Queens Head a go.